National Plug In Day, now in its third year, is getting a little bit more popular – it took place in about 95 cities, up from 65 last year. Cupertino, Calif., saw about 2,000 attendees; overall somewhere between 40,000 to 50,000 people showed up on Saturday across the US and participated in test drives, tailgate parties, brief speaker presentations by well-known advocates, and parades. It expanded outside the borders this year to Holland, Mexico, and Canada. Every single electric car that you can think of was on display, along with Brammo electric motorcycles. Long Beach, Calif., saw a well-attended event at the California State University Office of the Chancellor, where smart USA served as the lead sponsor and announced three new Level 2 EV chargers. Attendees saw 245 plug-in electric vehicles and “60 Minutes” was there to film it. Nissan was the lead sponsor for National Plug In Day, and announced that sales of its Leaf electric car have passed the 35,000 mark in the US since being launched in December 2010. Schneider Electric was another leading sponsor, promoting its EVlink product. 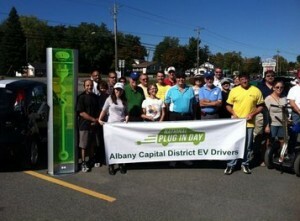 National Plug In Day was once again organized by Plug In America, the Electric Auto Association, and the Sierra Club. Many of the attendees at these events are EV owners who enjoy the annual car shows and chatting with their fellow colleagues about the nuts and bolts of operating their cars – similar to those attending festivals for owners of classic, vintage cars. EV owners have been thrilled to see the number of EV models coming to market and the sales figures growing at a strong percentage rate. Famous fans were present – Ed Begley, Jr., Robert F. Kenney, Jr., and climate change expert Bill McKibben, spoke at microphones along with mayors and other elected officials. A University of Texas-Austin study released last month found that methane emissions from new wells being prepared for production, a process known as completion, captured 99% of the escaping methane—on average 97% lower than estimates released in 2011 by the US Environmental Protection Agency. It was thought to be the most comprehensive shale gas emissions study ever undertaken on methane leakage. The findings were criticized by two Cornell University scientists whose study released two years ago claimed catastrophic levels of methane were being leaked by fracking operations. Energy experts and environmentalists celebrated the finding that almost all the escaping methane could be captured by state of the art equipment. In California Senate Bill 4 was recently passed and signed by the governor and has come under fire by environmental groups. 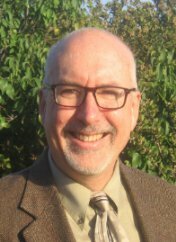 It imposes new regulation on fracking in the state, and the bill’s author State Senator Frank Pavley (D-Agoura Hills) has said that criticism is coming from lawyers looking for the “worst case scenario.” Changes made in the final hours have been criticized by Natural Resources Defense Council and the California League of Conservation Voters. The new law requires California’s Dept. of Natural Resources to conduct an independent, peer-reviewed scientific assessment of fracking; it also requires would-be frackers to apply for a permit with the state’s Division of Oil, Gas and Geothermal Resources. There are other provisions in SB4 structured around reporting standards, and environmental groups think the amendments compromised the original bill’s constructive guidelines. Along with rolling out its dimethyl ether (DME), clean heavy duty truck, Volvo Trucks has reached zero landfill status at its New River Valley assembly plant in Dublin, Va. All of the waste generated at the facility is now being recycled, composted, or converted to electricity. Volvo Group has been at it a few years – waste reduction started in 2003 that resulted in coordinated efforts in reuse, recycling, and composting. Honda is looking for another supplier of lithium ion batteries for its new line of hybrid vehicles. The company thinks it can seal a deal within a year that would generate a better battery at lower costs; Honda is also interested in having access to a second supplier in case there are delivery problems with the primary supplier. Since 2009, Honda has been going with its Blue Energy Co., a joint venture with between Honda and Japanese battery maker GS Yuasa Corp. It’s gone into Honda’s Earth Dreams hybrid drivetrain. Honda is counting on hybrids like its 50 mpg Accord hybrid to see strong growth in sales. Jaguar Land Rover will be opening a $160 million research and development center in the UK by 2016 for its next generation of vehicle technologies for electric vehicles and hybrids, plus other powertrains. Jaguar Land Rover is now owned by Indian automaker Tata Motors; the company said about 1,000 academics and engineers will be working at its National Automotive Innovation Campus at Warwick University. It will be a collaborative research project coming from Tata Motors European Technical Center, Warwick Manufacturing Group, and the UK government’s Higher Education Funding Council. Fisker Automotive could get a second life on October 11 when the US Department of Energy (DOE) auctions off its loan to the automaker. Problems run deep for Fisker, and it’s yet to file for bankruptcy; but the extended range sports carmaker hasn’t built a car in more than a year. A few investors have expressed interest in buying Fisker. German investor group Fritz Nols sent a detailed plan to DOE this recently; and offered to buy the beleaguered starup carmaker for $25 million. Automakers and suppliers are starting to talk about developing a single standard for autonomous, self-driving cars. Experts spoke about it recently at the Michigan Automotive Summit in Detroit. Companies need to come up with a “standard which would make the entire industry rise around it much faster,” said Jeffery Owens, chief technology officer at Delphi Automotive. The 2014 Chevrolet Cruze may soon be available in a bi-fuel compressed natural gas (CNG) version, joining ranks with gasoline and diesel Cruzes. This one will be through an aftermarket conversion. IMPCO will offer a bi-fuel conversion for the 1.4-liter, four-cylinder turbocharged Cruze engine. It will get 200 miles on natural gas and have some of its cargo space reduced by the CNG tank. 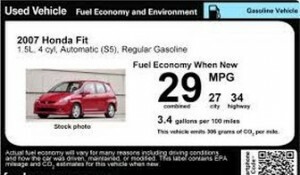 It will be the only other EPA-approved 2014 car on the market competing with the Honda Civic Natural Gas, which is a dedicated CNG-only vehicle. Rental cars are always a great way to get “butts in seats” with new types of vehicles like hybrids and EVs. Hertz is now offering Tesla Model S rentals in select US markets as part of its “Dream Cars” program. For starters, it’s now at the San Francisco and Los Angeles airports. Renters can get behind the wheel of the Model S Performance that comes with an 85 kilowatt-hour lithium-ion battery pack and a 416 horsepower motor. They probably shouldn’t tell renters that it can go 0 to 60 miles per hour in 4.2 seconds. Hertz has been at its since 2010 when it started offering the Chevrolet Volt and Nissan Leaf plug-ins. In India, Mahindra Reva Electric Vehicles is testing out EV rentals in New Dehli, Mumbai, and Bangalore. Mahindra Eva e2o electric cars will be available in these three cities. It will cost 200 rupees (about $3.20) to rent an e2o for two hours. The electric car has a driving range of around 62 miles when fully charged and has a top speed of 50 miles per hour. It will tie into about 100 free charging points being installed in these three cities. 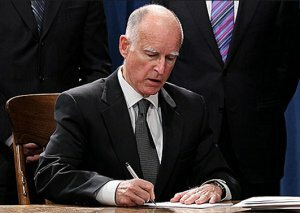 California Governor Jerry Brown celebrated National Plug In Day his own way – by signing six bills promoting electric vehicles and alternative technologies in the state. There was some very good news for those building the charging infrastructure – one of them being Senate Bill 454 (SB 454), which adopts the Electric Vehicle Charging Stations Open Access Act. This means that the architecture is open for charging infrastructure deployment. While companies like ChargePoint have been pushing hard for proprietary networks to be the standard, California is adopting an open system for electric vehicle charging payment. Drivers will be able to pull up at any charging station and use their credit card to fuel their car; they’ll no longer be required to search for the limited number of charging stations that they have an account with. Assembly Bill 1092 (AB 1092) addresses another tough issue for expanding the charging infrastructure – multi-family dwelling and non-residential development. The California Building Standards Commission and the Department of Housing and Community Developments are now required to develop standards for installing the charging stations. Fans of the carpool lane stickers were probably thrilled to hear that the High-Occupancy Vehicle (HOV) extends access for low-emission and zero-emission vehicles until 2019; AB 266 and SB 286 extend white HOV lane stickers for battery electric vehicles and the green stickers for plug-in hybrids, respectively. AB 8 will be funding $2 billion in green initiatives such as Alternative and Renewable Fuel and Vehicle Technology Program. It offers incentives for scrapping the dirtiest cars – along with $20 million to fund 100 hydrogen fueling stations. Fleets are being offered incentives through SB 359 that includes $20 million for the Clean Vehicle Rebate Project; $10 million for the Hybrid and Zero-Emission Truck and Bus Voucher Incentive Project; $10 million for the Heavy-Duty Vehicle Air Quality Loan Program; and $8 million for the Enhanced Fleet Modernization Program. Some of these signed bills appear to be influenced by the state’s ambitious target of having 15.4% of new vehicles sold in the state to be zero emission (battery electric and hydrogen fuel cell) or plug-in hybrid vehicles by 2025. The state thinks that will bring more than 1.4 million zero emission and plug-in hybrid vehicles onto California roads by that year. A study by the state’s Air Resources Board is even more optimistic than that – the agency expects nearly 100% of all light-duty passenger vehicles sold in the state to be zero-emission vehicles by 2040. 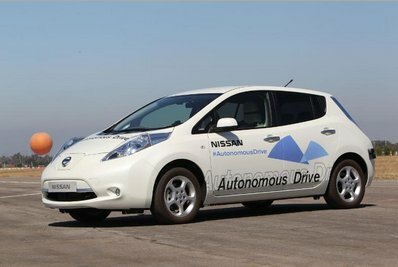 Nissan made a splash recently showing off its Autonomous Drive concept car (a driverless Leaf) that it says will come to market by 2020. Laser scanners, Around View Monitor cameras, as well as advanced artificial intelligence and actuators, have been installed in Leafs to enable them to negotiate complex real-world driving scenarios. General Motors is testing out Cadillac SRX prototypes at its Milford, Mich., proving grounds. GM is working out the kinks in its Super Cruise feature that it wants to launch by 2020. Mercedes-Benz demonstrated what it calls a “self-piloted” car at the Frankfurt auto show. Its S500 “Intelligent Drive” concept car drove autonomously along a 62-mile route in Germany last month. As for the year it should be available: 2020, which sounds like a very big year for driverless cars. Spam attack defeated!!! Now, please leave your reader comments…..
For those of you who have written for a blog, you probably have experienced the extremely annoying scam of bot engines placing deceptive reader comments on the site. Green Auto Market was attacked by bots recently, where up to 50 fake reader comments a day were posted. However this works, there does seem to be some connection between certain trendy products and green cars (I can’t say which product it is, since that might place this blog once again on another bot’s list). A lot of the comments were in Japanese – WordPress does offer a translator software function if needed. The other common thread in the comments was someone hawking their services to increase SEO on Green Auto Market – thanks but no thanks. They might approach that by throwing out a series of compliments on how awesome Green Auto Market and its writer/editor are. Well, shucks…. but, thanks but no thanks. We used a plugin product called Simple Comments to alleviate the spam attack – so far, so good. That being said, this is a very good time for you to leave a comment – see the “Leave a reply” link at the top of each post. I will review it, post it, and occasionally write a reply to the comment. Another suggestion is to forward the newsletter email or a link to the blog website, encouraging peers to post their name and email address to join the subscription list. You’ll find that box in the upper right corner of the blog. Some readers are sharing articles from this blog in their newsletters, websites, and blogs. Together, we can stop spammers from dominating the internet! The Mazda CX5 with its Skyactiv technology is being compared to Thomas Edison and all his innovative inventions. Okay, so we have the surfing legend Laird Hamilton and Thomas Edison comparisons for Skyactiv – very impressive. How about Henry Ford? Or Albert Einstein? California Assembly Bill 8, which will fund at least 100 hydrogen stations in California, passed through the state legislature last week and is on its way to Gov. Jerry Brown’s desk; the governor indicated he’ll signed it during a news conference this week. AB 8 will provide funding for at least 100 publicly available hydrogen stations, with a commitment of $20 million a year (or 20% of available funds) until January 1, 2024. UK-based ITM Power, a fuel cell energy storage and clean fuel products company, just took its first US order for $1.4 million to support hydrogen refueling stations. ITM Power turns renewable wind and solar power into hydrogen gas using electrolyser technology, which creates on-demand clean fuel for cars, cooking, heating and welding. The company will supply an electrolyser-based unit for Hyundai’s hydrogen energy and fueling station in Chino, Calif.
Toyota Motor Sales USA is getting into the carsharing business through an alliance with City CarShare, which is considered to be the largest nonprofit carsharing organization in North America. The relationship has started with the Dash carsharing program in Pleasanton, Calif., for an employer’s needs and for their carpool, vanpool, and public transportation commuters. It’s a three-year pilot program that will delivery Scion iQ electric vehicles that were designed specifically for the carsharing market. Navigant Research just issued a report projecting that carsharing services will have more than 12 million members worldwide by 2020, up from the current level of 2.3 million. Electric truck manufacturer Boulder Electric has successfully demonstrated its Vehicle-to-Grid (V2G) all electric trucks in three separate locations including Michigan, Colorado and California. With 60 kilowatts of power going in and coming out of the vehicles, Boulder EV reached a new milestone and became the first EV truck manufacturer in the world to successfully demonstrate V2G bi-directional charging at its first testing site at Royal Oak, Mich., back in June. The second project took place at the US Army Corps of Engineers and SPIDERS project in Carson, Col. Most recently, at Boulder’s plant in Los Angeles, the California Energy Commission award the company a $3 million grant to support opening its second plant. Corporate average fuel economy is inching upwards each month. The University of Michigan Transportation Institute says that the August number for light-duty cars and trucks sold in the US reached 24.9 mpg, up 0.1 mpg from the previous month. It’s gone up 4.8 mpg since the university began tracking the numbers in October 2007. Veteran EV charging station maker ClipperCreek has announced the availability of what it claims to be the smallest cord and plug connected, 20Amp, Level 2 EV charging station on the market. Based on the company’s LCS-25, this new product features a plug in connection to make installation inexpensive and fast. With a standard 25 foot charge cable, there is no need to juggle cars to plug in. Customers with existing outlets can purchase the LCS-25P and install it by attaching it to the wall and plugging the LCS-25P into a 240V outlet. It’s for sale at a retail price tag of $549, with a 3 year warranty. Fisker Automotive may have a buyer take care of its large debt with the US Dept. of Energy. Fritz Nols AG, a German investment company, appears to have placed its $25 million offer to the DOE, and its sounds like it could be moving forward. The parties signed a letter of intent for its restructuring plan. It might be a partial solution for the DOE to resolve some of the $193 million that the agency made available as a loan and which the extended range automaker has yet to pay back. Fritz Nols AG may not close the deal, though; other bids are being considered by the feds including one from Chinese auto parts maker Wanxiang Group (and owner of previously-named A123 Systems); and a Hong Kong-based investment group. It sounds like all of the bids are lower than the US government had been hoping for; yet, they may settle for less and walk away from Fisker. 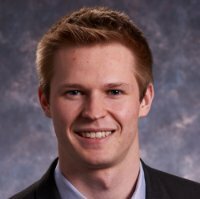 Ecotality has a swirl of class-action lawsuits being filed against the electric vehicle battery charger company. Pomerantz Grossman Hufford Dahlstrom & Gross LLP has filed a class action lawsuit against Ecotality, Inc. in US District Court, Northern District of California. 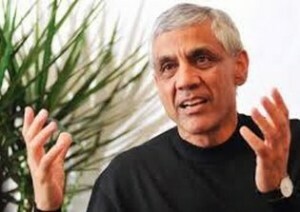 It’s been filed on behalf of a class consisting of all persons or entities who gained securities of Ecotality between April 16, 2012 and August 9, 2013. This class action seeks to recover damages as a result of alleged violations of the federal securities laws. Frankfurt Motor Show looks electrified but how real is it? Volkswagen took center stage – claiming to have 40 new hybrids, plug-in hybrids, and battery electric vehicles in the works to roll out by 2018; the company plans to roll out 14 vehicles with alternative powertrains by next year. Coming soon will be electrified versions of the Up! city car, Golf compact, Audi A3 Sportback plug-in hybrid, and a battery-assisted Porsche 918 supercar. Volkswagen CEO Martin Winterkorn says that his company will become the world’s largest producer of battery-based vehicles in the world. VW also said that it’s considering rolling out natural gas-powered cars in the US. The automaker is urging the Environmental Protection Agency to do more to get a broader natural gas refueling network set up across the country. Land Rover will be offering a diesel plug-in hybrid Range Rover SUV. It’s expected to pair a 288 horsepower turbodiesel engine with a 47 hp electric motor, and will get 44 miles per gallon. BMW officially unveiled its i8 plug-in hybrid, which gets 362 hp that comes from a three-cylinder engine and an electric motor. BMW is also showing a Concept X5 eDrive at the show – a plug-in hybrid based on a four-cylinder engine. Big Picture: August a hot sales month for green cars, $45M more in DOE funding, EV rentals in vacationland, the latest from Tesla-Mania! Plug-in electric vehicle sales nearly doubled year-ago figures to 9,431 units in August. 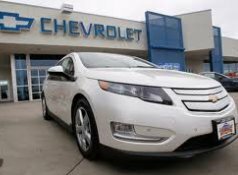 The Chevrolet Volt reached its highest ever monthly sales figure – 3,351 units sold in August reaching just under 15,000 for this year. June 2013 had seen its best June ever at 2,698 units sold and July had dropped to 1,788. So August was a win-win for GM and incentives have been helping. The Nissan Leaf sold 2,420 units in August and made it to a little over 14,100 for the year. Previously, March had been the best sales month of the year for the Leaf, at 2,236 units sold. Atlanta has been a new and strong market for the Leaf. Tesla brought in sales of 1,716 Model S units, for a total of 13,330 for this year. Toyota had an even better month, setting a monthly record of 1,791 of its Prius Plug-in Hybrids. The RAV4 EV did well, too, reaching a record 231 units sold. Overall, the Prius saw a strong month with 27,358 units sold in all four variants – 28% over last year. Ford did very well, almost quadrupling its green car numbers from last year at 8,292 vehicles sold. The Fusion Hybrid reached 3,694 units sold, C-Max Hybrid reached 2,411, the Fusion Energi hit 600 sold, and C-Max Energi made it to 621 sold. Revising the mileage rating on the C-Max hybrid on August 15 didn’t seem to hurt sales. Ford announced the EPA combined fuel economy rating was dropping from 47 to 43 mpg. The automaker thinks it still has a very strong selling point against its chief competitor, the Toyota Prius V, which has a combined mileage rating of 42 mpg. Ford, General Motors, Chrysler, General Electric and Caterpillar are among the 38 companies, universities and national labs to receive more than $45 million in US Department of Energy funding for projects that accelerate R&D of vehicle technologies to improve fuel efficiency, lower transportation costs, and protect the environment. While similar to the Advanced Vehicle Technology Manufacturing program, this new DOE project fund is a separate project tied into President Obama’s Climate Action Plan that was launched in June of this year. The US Army will be contributing an additional $3 million to support projects based on lightweighting and propulsion materials, batteries, fuels, lubricants. Drive Electric Orlando (DEO) is bringing the electric vehicle driving experience to a lot of tourists visiting the city famous for its massive theme parks. DEO is bringing together car rental, charging stations, hotels, theme parks, and other stakeholders into the coalition. Enterprise Rent-A-Car is playing the leading role and working with Nissan on bringing Leafs to customers. Other participants include Disney, Sea World, Universal Studios, Duke Energy, Visit Florida, Peabody Hotel, and the University of Central Florida; Electrification Coalition is also part of the network. Renters can get a Leaf for as low as $30 a day that includes GPS navigation and overnight charging at hotels. Customers will be able to have free use of the Clear security lanes when leaving the city’s airport. Siemens AG, a German multinational engineering and electronics conglomerate, is leaving the electric vehicle charging market. Demand and market development has been weaker than expected in Germany and in the US. It will continue offering wall boxes for recharging electric vehicles at home, and will continue research on wireless charging. Siemens has played a very visible role at conferences such as Plug-in 2012. After mixed results in state-level battles with dealers over its non-franchised dealer business model, Tesla Motors is ruminating over taking it to Washington. Tesla had fought the fight most intensely in Texas to overturn state franchise laws – and lost to dealers. Texas is considered to have the toughest state laws benefiting dealers over automakers. Dealers are watching it very closely with fear that Tesla gaining victory in Washington or any of the states would open the door to automakers from developing countries coming to the US to carve out market share. There’s also fear of what major OEMs might gain if Tesla gets away with it and they decide to switch over to company stores. They do tend to find Tesla CEO Elon Musk extremely irritating, but recognize he can pull a lot of sway. In less dramatic news, Musk will be taking off on a cross-country road trip in a Model S with his five kids in the car. Musk will have to figure out the best way to drive 3,200 miles and make charging time most efficient at Tesla’s Supercharger stations. He thinks it will take up to 90 minutes a day to get the needed charging done during the five-day trip.